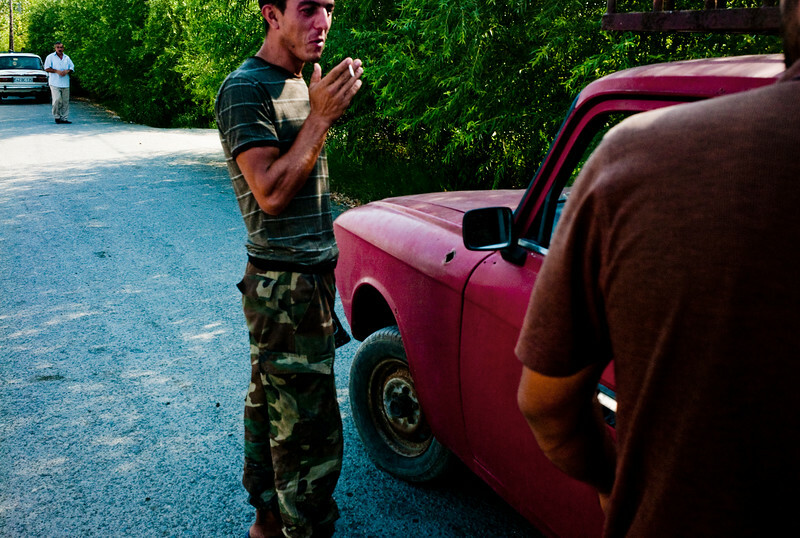 August 2011, Dortyol, Aqdam region, Azerbaijan - Young men in the refugee camp, believed to be getting trained to fight the armenians in Nagorno Karabakh. The Agdam region is on the border of the Nagorno Karabakh enclave, controlled by Armenia since 1994 and claimed by Azerbaijan. In spite of a cease fire brokered in 1994 skirmishes between Azeris and Armenians are an almost daily occurence.